Xiaomi has made news around the world for its incredible growth and innovative products. One of the most important recent events for them was going public as HEX1810 in Hong Kong. If you follow the pattern its clear. They are aggressively expanding and preparing for the future. 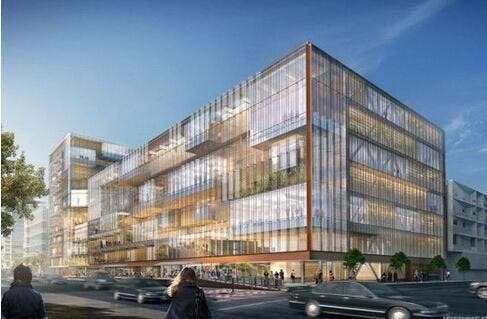 The new Xiaomi Wuhan HQ is just the beginning of this expansion. This is also a recent trend for other large corporations in China. Companies like Alibaba, Huawei etc have all moved away from the old hubs into the newer larger hubs. 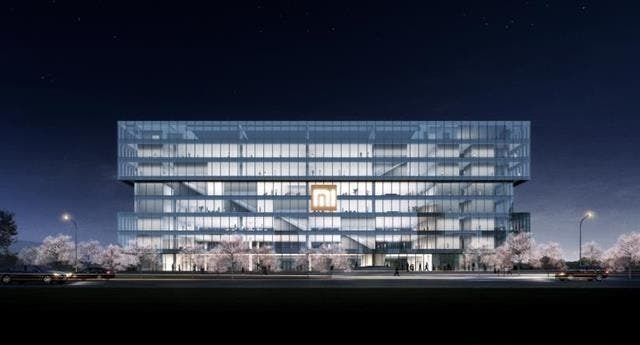 Xiaomi won the contract and started development on the Wuhan HQ last year. 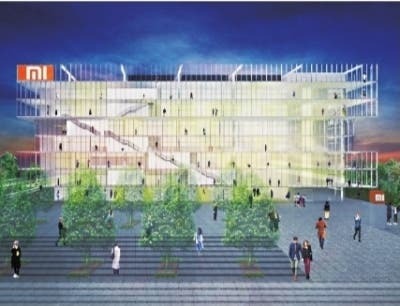 This will be the new sales headquarters and will also host up to 10,000 new engineers. 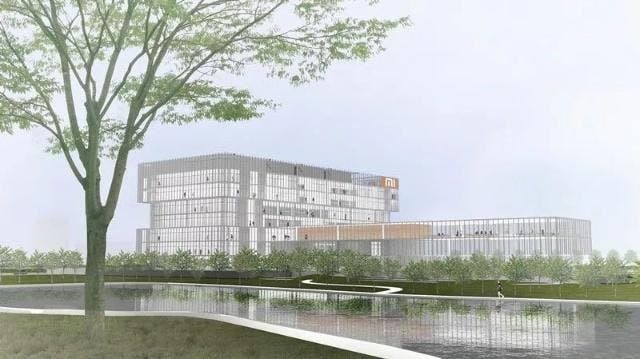 A reporter interviewing officials recently obtained confirmation that this HQ will be ready in Q4 2019. The building is situated in the administrative high-tech zone. The area is called central optics valley which is seeing a large influx of tech companies. At the end of the article you can read about why Wuhan is the center of attention right now and why its a preferred destination. 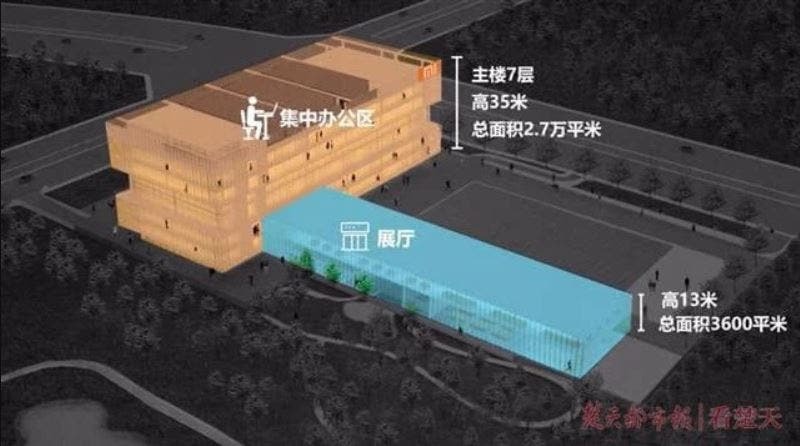 According to the person in charge the Xiaomi Wuhan HQ will employ new engineers and will lead the development for a large number of categories. Some of which include Artificial intelligence, IOT, Big data, Cloud technologies, E-commerce and Xiaomi’s own finance wing. The campus for now is divided into two buildings. A main building that will host office spaces and an annex building for a large showroom and dining. “Wuhan is perfect for an R&D center because it’s conveniently located at central China and has rich talent pool thanks to reputable universities located in the region. With plans to construct a headquarter with up to 10,000 staff, Xiaomi wants to build Wuhan as the new hub in the AI era,” said Xiaomi founder Lei Jun, who is a Wuhan native himself. Other than the charm of a new tech hub, Most companies want to leave the already crowded hubs. This lets them be grab perks being offered by local governments to set up shop and reduce operational costs. To incentivize employee relocation from other parts of China, Xiaomi is said to be providing Beijing level salary, Benefits and Relocation bonuses. In turn for all these the employees are asked to stay for a minimum of two years. For the complete development details and other reasons. For why Wuhan is an Attractive place for companies and the reason for it being called the new silicon valley of China read this Article and this. 21.Mi Fan.Loves to find out how stuff work and what's inside!